YAY! Hey kidTorque!!! Welcome to WATS!! hey everyone! thanks for the big welcomes! haha. Hey, looks like we got another new person! Welcome, AllieRX! And yes, I know you from our chats with some of the KRDK cast. Welcome to WATS! Hi. It's nice to meet you all and I hope we'll get along well. I'm Accel Glanzer, named after the Rider Kick of Kamen Rider Accel from Kamen Rider W. I'm also a huge fan of Kamen Rider Dragon Knight and have been since the first complete trailer was released; very glad that Kamen Rider has a respectable representative in North America after so many years without one. Big fan of various Kamen Rider incarnations, but specifically Faiz, Kabuto, and Double. Anyway, nice to meet everyone here and I look forward to excellent discussions of Kamen Rider, whether it's Dragon Knight or other incarnations. Nice to meet you, Accel Ganzer! Welcome to Way-Above-Top-Secret! Thank you for the warm welcome, and I look forward to more interaction with you and everyone else here! Welcome to the forum, dude. Double & Dragon Knight rock!!! Hey everyone, I'm Jeff. Just found out about this site a few weeks ago... I think it is so cool that someone took an idea from the show and made it a reality. To me Kamen Rider is a special, underground thing to me... sorta like when you like a really good band no one has ever heard of... and having this place to connect with other riders is so awesome! I got into Kamen Rider because of TMNT, mostly. When I started having saturday mornings off from work I made it a weekly tradition to watch new TMNT on CW4kids in the morning. When the trailer was shown for the new Dragon Knight show I was in awe. It looked so awesome, even though I had no idea what it was. Of course it reminded me of power rangers, another childhood favorite, but I could also tell it was much different. Being a martial artist, Tai Chi and Ba Gua (9 Dragon system), I was also drawn into the show because of the realistic fight scenes. So I made an effort to watch Kamen Rider after TMNT and ever since then, I've been hooked. I have a lot of ideas to keep Kamen Rider alive in the US. One thing I'm hoping to do within the next few years is create a new Kamen Rider video game that will allow us to connect online and fight with and against other riders. There is a lot I could say about this but I don't wanna spill out all my ideas to the internet. Also, I am a published author. I wrote "Toolbox for the Mind" (check it out on amazon) and am currently in the process of writing a novel, "Gem Liberato: Love Beyond Life". I was stoked to learn of the new Dragon Knight sequel book coming out, but bummed it would only by in Japanese. So I have contacted my publishing company about this. There is a good chance that they will translate the sequel book into English, and even let me edit it. This should be a lot of fun! When Dragon Knight was canceled I started up a facebook group to help promote the petition to bring it back. That will probably not happen now, but I am glad that Adness is looking to do another American adaptation. The return of the advent master blew my mind! and made the show like 10 times better. The plot was so well written. Commentors on YouTube say Ryuki was better plot wise, but I beg to differ. 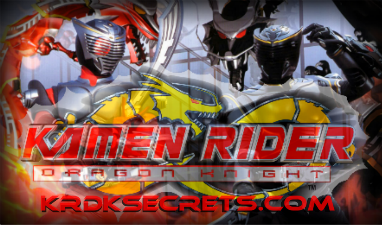 Dragon Knight's plot was so well done and carried over throughout the entire series; Ryuki seemed to have several plot holes and dead-ends, and they didn't even use all the riders! Nice to meet you and thanks for sharing your story! Welcome to WATS,enjoy your stay! Don't be embarrassed about the length - your story is amazing! It's neat to learn about you, and you're a welcome addition to the WATS family! hey what's up Ijust found this place after looking for KRDK fanfiction and not finding any about my favourite character Chris, which I guess I'll have to remedy. Also I am in the process of writing a fan adaptated movie for either Kiva, Decade or Kuuga although I have no idea if it will ever make it to filming. *chuckles* Yeah, sadly there aren't many fanfictions with Chris as big character. There are some where he's a recurring character though - you can find some of those in our fanfiction archive. Nice to have you join the WATS family, metal rider! If you have any questions, just ask! Welcome! It's nice to meet a new member. Oh...I almost forget to introduce myself. Hi! I'm Evil Dragon Knight. You can call me Dragon...My story is very simple...One day, I was bored and didn't know what to do so I turned on Cartoon Network and accidently, I saw KRDK. I immediatly felt in love with the show...Being a dark fics lover, I went to ff.net to read some dark fics. I was a little disappointed because I couldn't find any dark fics so I went to youtube and searched for some dark vids. That 's why I saw catt001 and Phycogods...I also saw WATS on their vid's description so I searched googles and found this website. I love reading and writing and I started to write very early. However, my writing skill was so bad that nobody wanted to read my stories ( or was it because most of them were dark fics? ) I will start to write KRDK fics soon and hopefully you will like them...Actually, I am writing one and Lynx is helping me with the editing part because you see...English isn't my main language...so if you find any mistakes, please understand. I hope we can become friends because we all have one thing in common: We love KRDK...so...That 's all I want to say. Thank you for your attention. But I have made it at last. Like everyone else that's assembled here, I am a huge Kamen Rider: Dragon Knight fan, and I was heartbroken when the show was canceled. Watching it made my Saturdays for a long time. However, I've recently started writing fanfiction for it--that can be found on my profile, which needs LOOOOVE--because you never outgrow your passion. Kit and Len are my favorite characters, so most of my stuff will have them in it. However, Chris does like to sneak in from time to time and steal the spotlight, and I let him because that guy's just win. Better late than never! XP Welcome to the KRDKSecrets Family! Welcome to KRDKSecrets, TheTemperate Storm! And as KRLynx said, better late than never! Hello all hope I’m not too late to join in. I’m Wingsofhope…and you have no idea how happy am I’m to have found this as I swore up and down that I was the only fan of this show. I’m a hopeful sci-fi writer, with the nasty habit of getting my hands into to many projects. Of all the riders, Chris is my favorite, hands down.